THE JOE WALSH FAN CLUB IS YOUR NEW HOME FOR ALL THINGS JOE WALSH. GET ACCESS TO EXCLUSIVE AREAS OF THE SITE, PRE-SALES, AND CONTESTS! Access to exclusive digital content. Access to exclusive community features such as message boards. *Digital memberships go into effect immediately at the time of purchase which is why they are non-refundable. Please see our Return Policy for details. **Fan-club ticket presales are not available for all tour dates. 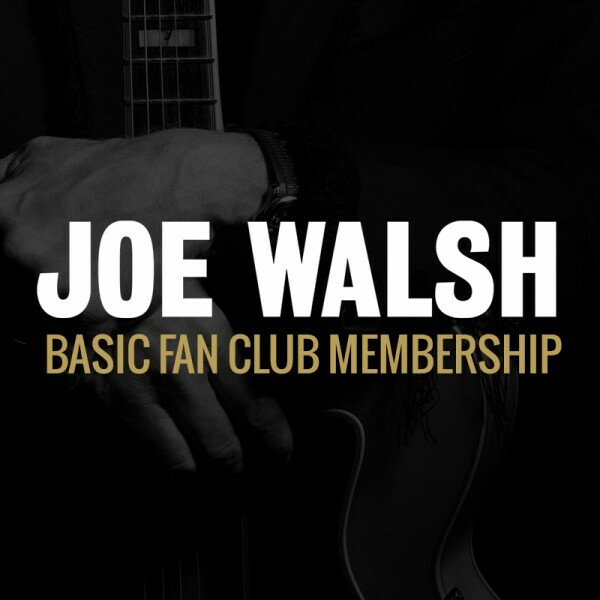 When there is a fan-club presale, concert tickets are purchasable on a first-come first-serve basis and are not guaranteed. When a code is needed for an upcoming presale, it will be posted in your Account Dashboard up to 10 minutes prior to that presale.